Pucón, which lies on the Eastern shore of the beautiful Lake Villaricca is one of Chile’s most popular holiday destinations, and the best places to stay in Pucón provide easy access to all that the area has to offer. The city, which was originally founded as a strategic military stronghold in the late ninteenth century, had its first hotel built in 1923. The fashionable Gran Hotel Pucón followed in 1934 and the rest is history! This became for a time a playground for South America’s rich and famous. Nowadays it is one of the top spots globally for adventure tourism. The city boasts the best small resort infrastructure on the continent in terms of accommodation (to suit all tastes and budgets), activities and clubs, bars and restaurants. The season is year round. In wintertime skiing and snowboarding - on the slopes of the Villaricca volcano. In summer there is hiking, rafting, zip lining, sky diving, fishing, bird watching… the list is endless. All of these attractions have made Pucón extremely popular and the town reflects this in its demographic diversity and international feel. The surrounding landscape is most striking with volcanoes, hot springs, lakes and waterfalls. There are several national parks - El Cani is an eco reserve with many rare species, lagoons and hiking trails and our pick of the best places to stay in Pucon are ideally located for any and all of the above. Aldea Naukana is a charming boutique hotel. The rooms have great atmosphere with wood panelled walls, warm fabrics and sheepskin rugs. Plus there's a cosy lounge with fire and lovely views. 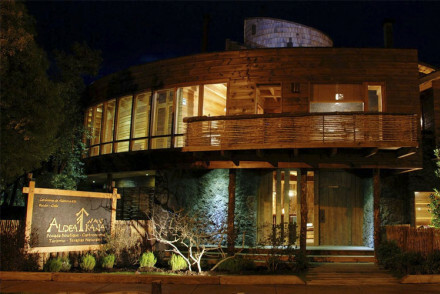 Lake Lodge is few miles out of town, Lake Lodge is smart and contemporary with wooden interiors. It is surrounded by gorgeous scenery, and the Villaricca national park is on the doorstep and the Ojosdel Caburgua waterfall nearby. Tree Lodge Nidos de Pucon is in the forest just outside Pucon. These unique treetop bungalows are handcrafted in wood. Wake up in the middle of nature, with wildlife all around. Birdwatch from your bedroom window. This is a magical experience. Hotel Antumalal is a chic property carved into a hillside. It is a fusion of the natural world and contemporary design, and the views over the lake are spectacular - from the floor to ceiling windows. There is an excellent spa, and fine Chilean food and wine. 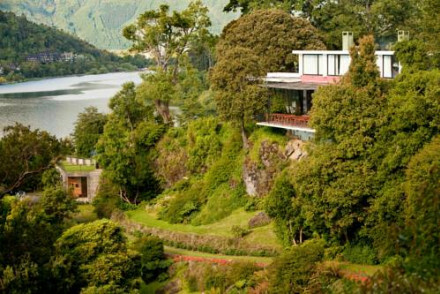 The Hacienda Hotel Vira Vira is a luxury stay a few miles outside Pucon. As well as elegant accommodation you'll find a gourmet restaurant and so many activities that you'll have difficulty choosing! A charming boutique hotel well located within the city yet with easy access to the surrounding countryside. Atmospheric rooms are all wood, warm fabrics and sheepskin rugs. A cosy fire-lit lounge is the perfect spot to unwind with an evening tipple. The ideal base for outdoor holidays. Active Holiday - The hotel organises numerous excursions and activities in the surrounding countryside. A chic property carved into the hillside mixing nature with contemporary design. The epic lake views taken in from the floor to ceiling windows take centre stage in the bedrooms. A spoiling spa will deliver on all pampering needs. Dine on Chilean specialities and sample regional wines. Superb. Active Holiday - With a lake on your doorstep and volcanoes, hot springs and national parks there's plenty to keep the adventurous occupied with. 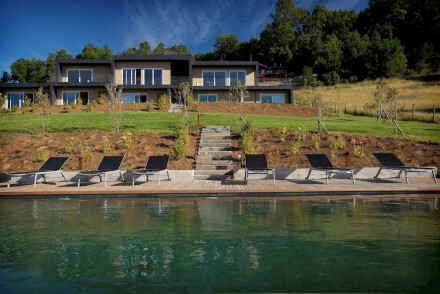 This elegant contemporary property is situated in the peaceful countryside a few miles outside Pucon. It enjoys a chic decor with plenty of wooden features and even has its own private beach area to relax by! All rates are full board and the cuisine is simply superb. A top-class tranquil retreat. 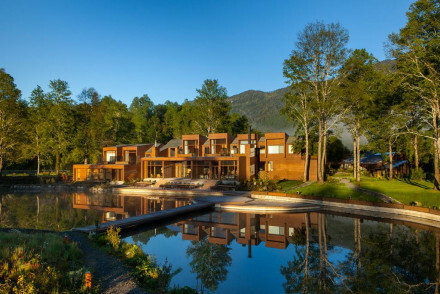 Lake Lodge is situated a few miles outside of Pucón and enjoys a smart, contemporary décor with lots of wooden influences. It offers two self-catering apartments for three people and two private rooms. Spend your days hiking around the area or lounging poolside. An upmarket choice.